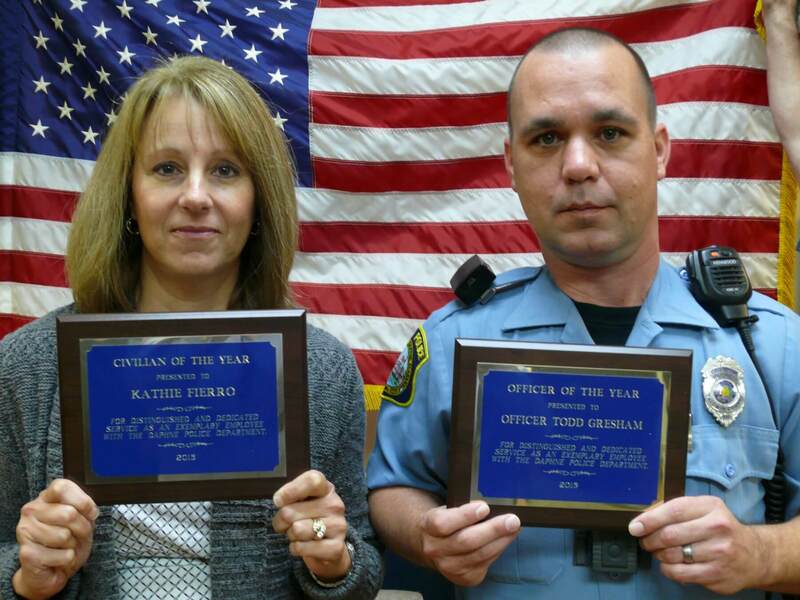 The Daphne Police Department recently named Officer Todd Gresham and employee Kathie Fierro as its Officer and Civilian of the Year for 2015. 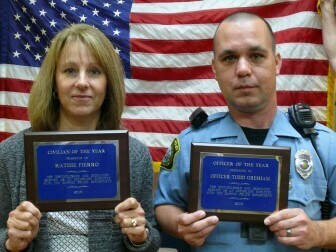 Daphne Police Officer Todd Gresham and employee Kathie Fierro. According to a press release from the department, Gresham was selected because he is a consistent and reliable officer who “gives 100 percent effort.” Gresham was also noted for saving the life of a woman in a burning vehicle in 2015. 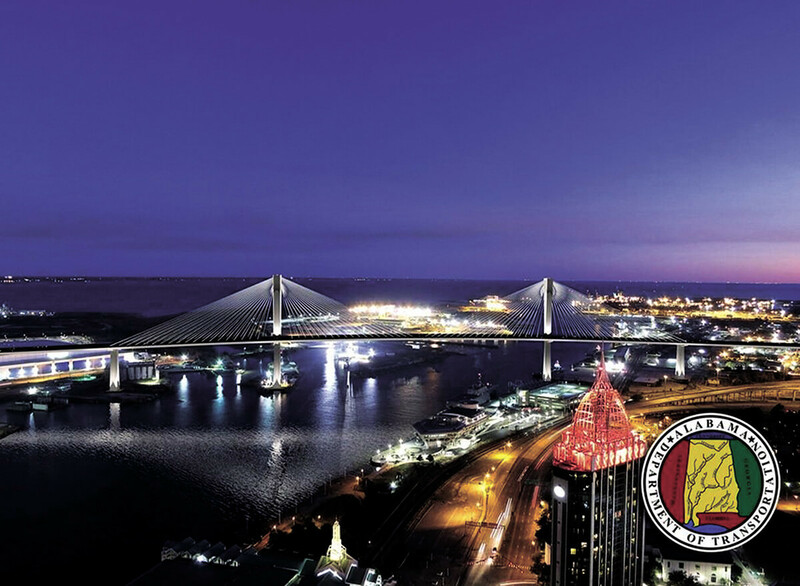 Gresham joined Daphne Police Department in July 2008 and serves in the Patrol Division. Fierro was recognized for her organization and value to the Patrol Division. She joined the Daphne Police Department in February 2014.